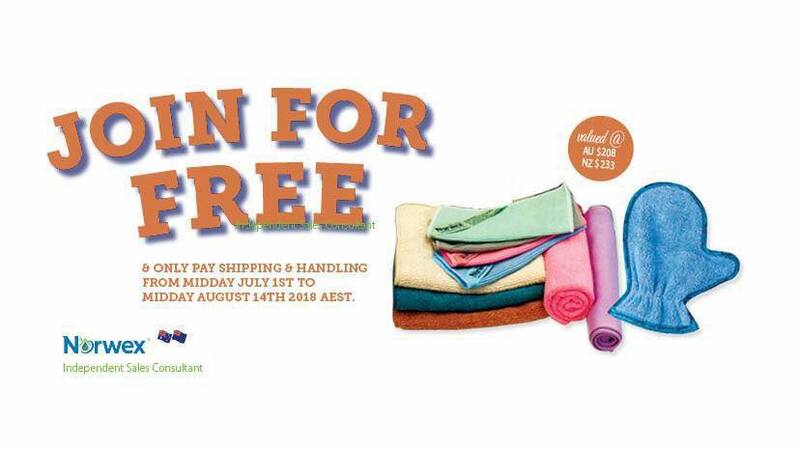 Although the details in this post are now out of date, you can join Norwex for free NOW, with the “join-for-free” kit until the end of March, 2019, OR with the Party Starter Kit, anytime (see Australian joining info here, or New Zealand joining info here). 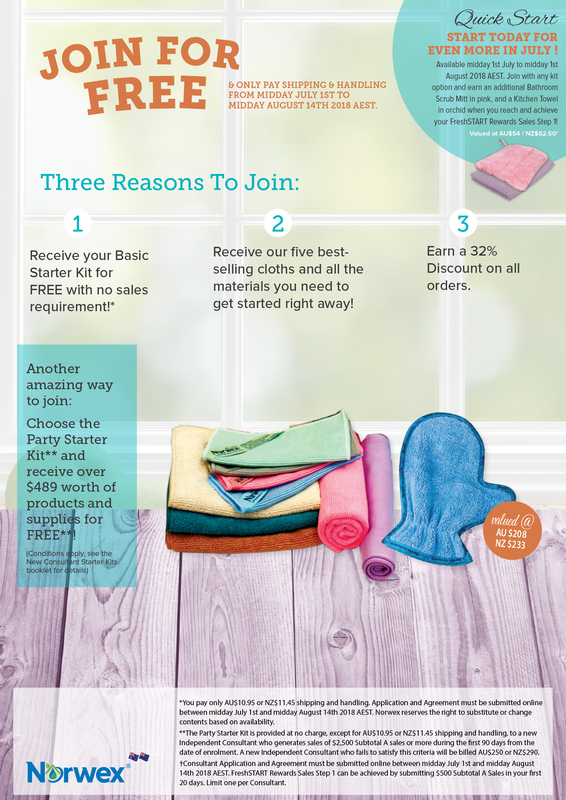 Have you contemplated joining Norwex yourself? Maybe you’d like to make a little pocket money selling a product you love, maybe you’d like a second income stream, maybe you’d like a whole career shift… maybe you’d like to work with a company that will treat you like an asset, help you develop your leadership skills (and then pay you for doing so), AND help you make a difference in the world, all at the same time? How would $200, $600, $1000 extra dollars each month affect your life? How would you like to get around $300 (or more!) worth of free Norwex products? Or maybe you just think it would be fun to try something new! I would love you to join my team, which spans Australia and New Zealand, full of people changing their own, and others’, lives! 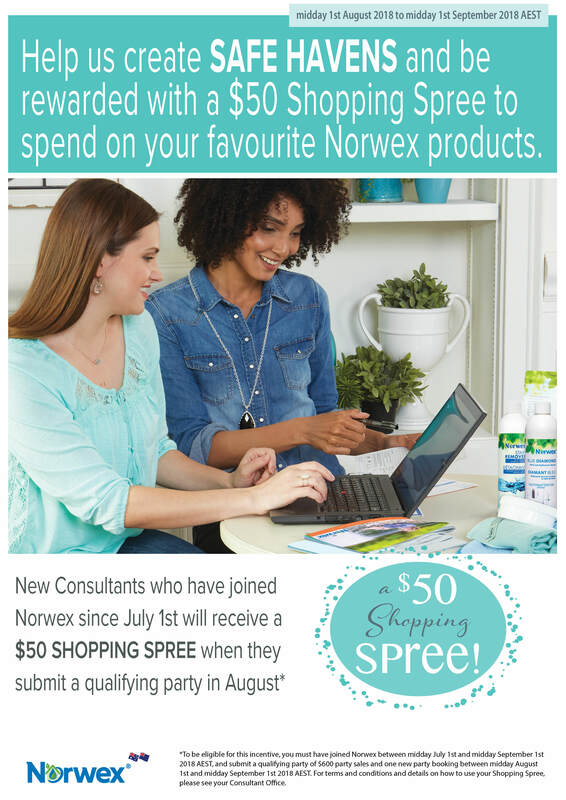 If that sounds like something you would like more information on, you can contact me now, and I can post you out some info, or take a look at my pages on how to join Norwex in Australia, or become a Norwex consultant in New Zealand. Or, if you’d like to browse some more information and ask questions in a no pressure forum, contact me and ask to be added to my team’s joining Norwex facebook group, which you can browse at your leisure. Want more Special Offers? When you join Norwex before midday on August 14 you can also choose to get a limited edition kit builder pack that is 44% off the retail price!! 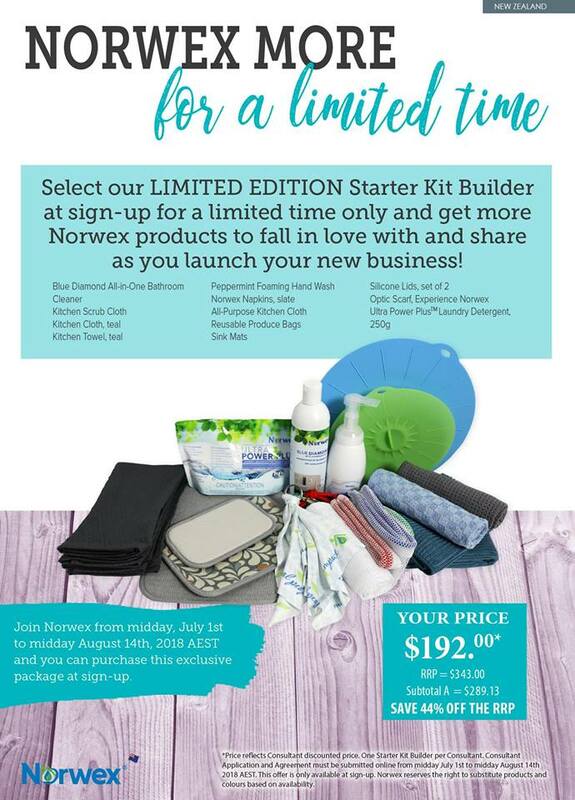 When you join Norwex there is always the option to upgrade your kit with your choice of three a Starter Kit Builder Packs, but this is a special limited edition pack, extra discounted! 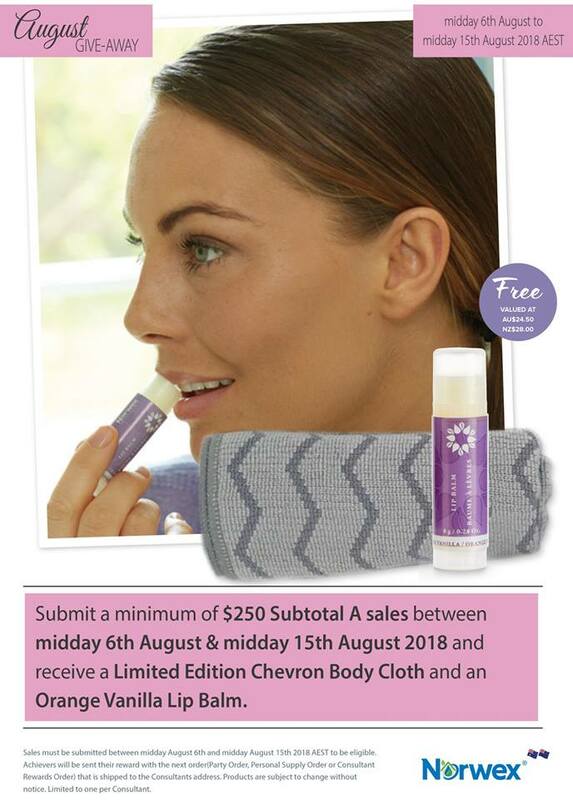 That means, if you join with the join for free kit and the limited upgrade kit, you will be spending AU$177.95/NZ$203.45 to get AU$472.50/NZ$543 worth of products (that’s AU$294.55/NZ$339.55 worth of FREE NORWEX)!! And, if you get the party starter kit instead (still with the limited edition upgrade kit) you will pay the same and get even more value!! For anyone who joins in July and August and then submits a qualifying party in August (this could be just your own “start up” party) will get a $50 shopping spree to spend! woohoo! If you join by midday August 1, with any builder pack, AND you achieve your first level of fresh start rewards within 20 days (which is super easy to do, I will explain more in a minute) you will ALSO get a pink Bathroom Scrub mitt (not available to buy – usually only available as a host gift) AND a kitchen towel in orchid, absolutely free. And that’s on top of the pack you would get anyway as a fresh start reward. What are Fresh Start Rewards and how do you get them? The Norwex Fresh Start rewards are a way to build up your kit in the first 90 days after joining, just by putting in a few orders. And the bonus is, the Kit Builder packs count towards your fresh start rewards, and not only that but they count at the retail price, not at your 40-44% off price! So even the smallest one covers more than half the sales requirement to get to the 1st Fresh Start level, before you’re even through day one!! Here are the details of the Australian Fresh Start rewards and Kit Builders, and the New Zealand Fresh Start Rewards and Kit Builders (aside from the limited edition one which you can see above).